President Trump has pledged a coal revival, but America's utilities aren't listening. U.S. power companies are set to unplug almost 12 gigawatts of coal-fired capacity this year, or about 4 percent of the American coal fleet, according to an E&E News review of federal figures. More than half of those retirements were announced after Trump beat Hillary Clinton in the 2016 presidential election. Analysts said an economic maelstrom is responsible for the trend. Capacity prices for reserve electricity, long a moneymaker for coal plants, remain low in many parts of the country. Competition from natural gas remains stiff, with no apparent uptick in gas prices in sight. And renewables, improving on cost and performance, continue to eat up coal's market share. "All of those are suppressing the economics of existing coal plants," said Metin Celebi, an analyst who tracks the power sector at the Brattle Group. The closures underscore the challenges facing Trump and congressional Republicans, who have launched a concerted effort to prop up the industry. The Energy Department proposed subsidizing coal plants for storing fuel on-site, only to see federal regulators reject the plan. The conservative Heartland Institute has promised to fight the closures on the state level (Climatewire, Feb. 23). Now, congressional Republicans are getting in on the act. 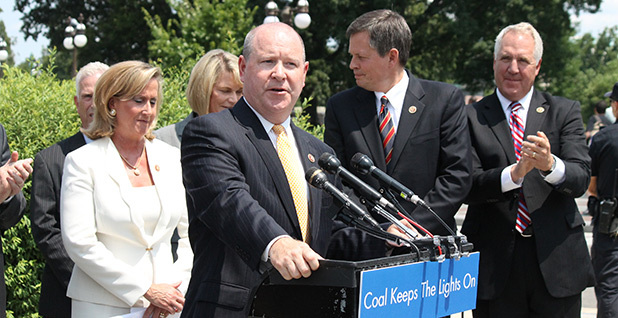 A Republican congressman unveiled a bill yesterday to provide coal plant operators a tax credit of up to 30 percent on their operations and maintenance expenses (E&E News PM, March 14). "We need to make sure we have a stable electrical grid with low cost energy, and that's what I'm trying to accomplish here," said Rep. Larry Bucshon (R-Ind. ), author of the "Electric Reliability and Fuel Security Act." Paul Bailey, president of the American Coalition for Clean Coal Electricity, argued that it still isn't clear whether the U.S. power sector is equipped to handle low-frequency, high-impact events like the polar vortex of 2014 and this winter's bomb cyclone. Bucshon's bill will buy regulators added time to complete their analysis of the grid's resilience by preventing further coal plant closures, he said. Those arguments mirrored DOE's recent case for coal subsidies. The Federal Energy Regulatory Commission ultimately sided with grid operators and the North American Electric Reliability Corp., finding no imminent problems. Analysts expressed similar doubts over Bucshon's bill. "It is questionable why such additional support would be justified to protect coal plants," said Alison Silverstein, a consultant who authored an Energy Department report on the country's changing power sector last year. Environmentalists also piled on. The Sierra Club blasted Bucshon's legislation, saying it amounted to a bailout for an industry that can no longer compete in America's power market. "Millionaire coal executives don't need another break from Congress when Americans near coal plants are struggling to breathe clean air and utilities are increasingly turning to more affordable clean energy," said the Sierra Club's public health policy director, Liz Perera. While that argument rages, coal plants continue to close. 2017 alone brought a rash of retirement announcements. One Texas power company announced last fall that it was closing three power plants with a combined capacity of roughly 4 GW (Energywire, Oct. 16, 2017). It was a similar story in Florida, where the Jacksonville Electric Authority said it was closing a 1.2-GW facility, and Ohio, where Dayton Power & Light announced the closure of two facilities with a total capacity of nearly 3 GW. All those plants will shut down this year. The retirements illustrate the urgency of coal's predicament. Many of the coal plants that retired during the Obama administrations were laggards by industry standards. They tended to be old and small, and ran only a fraction of the time. New federal mercury rules played a large role in their closure (Climatewire, April 27, 2017). 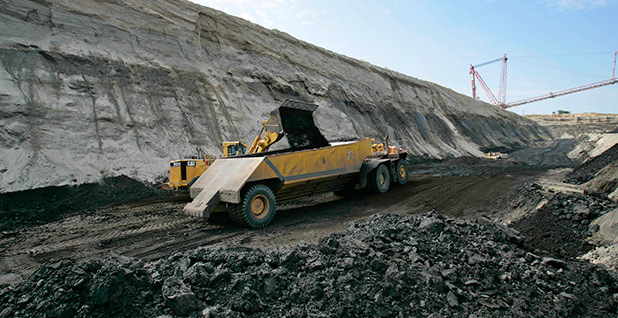 M.J. Bradley & Associates, a consultancy, found that the average coal unit retired between 2010 and 2016 was 57 years old and listed a capacity of 166 megawatts. By contrast, the plants on the chopping block this year are newer (their average age is 45) and boast an average capacity of 412 MW, an E&E News review of U.S. Energy Information Administration statistics found. EIA projects 11.9 GW of coal capacity is slated to close in 2018. That is almost double the 6 GW that closed in 2017, and it's only eclipsed by the 19.5 GW closed in 2015 and 13.5 GW closed in 2016, respectively. More closures are likely to be added to EIA's list in the coming months. The most recent federal tabulation from January doesn't include announced closures like the 1.2-GW Pleasant Prairie plant operated by We Energies in southeastern Wisconsin. Just as concerning for the industry is the fact that remaining coal plants are running less on average. In 2017, coal plants nationwide ran 53 percent of the time, roughly the same as in 2016, but down from 61 percent in 2014. Natural gas plants, meanwhile, have seen their run times increase from 48 percent four years ago to 54 percent last year. Wind increased from 34 percent to 36 percent over that time, while solar increased from almost 26 percent to 27 percent. Where natural gas has made up the vast majority of replacement capacity, renewables are increasingly stepping in to make up the difference where needed. "It's no longer true that you have to replace a retiring coal plant with a gas plant," Celebi said. "In some places, it's wind. In some places, it's demand response."